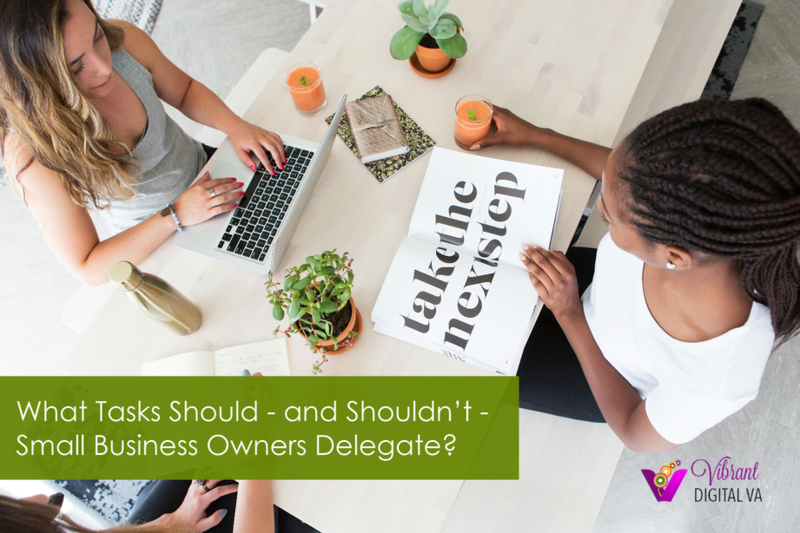 What Tasks Should – and Shouldn’t - Small Business Owners Delegate? One of the fastest ways to stunt the growth of your business is to try to do everything yourself. Ideally, as the owner of your business, you should be spending most of your time doing tasks that would cost $100 - $1,000 per hour to replace. Here are the types of activities you should be doing or overseeing. And here are the types of activities you should be delegating to others. If you spend your day on activities that cost less than $100 per hour, not only are you placing a very low value on your time, but you’re probably not spending time doing the work that you truly enjoy. You should be doing the essential parts of your business that no one else can do – the creative, strategic and interactive aspects of owning a business. The mundane tasks of responding to customer requests, growing your online presence and cold calling potential clients can be time draining, not leaving you enough to do to the other parts of your business that only you should be doing. Most entrepreneurs don’t have much capital – and it’s important to be smart with your money. But sometimes you need to invest your money – and your time – in order to make even more money. Your focus shouldn’t be to minimize costs, but rather to maximize your return on investment (ROI). Think of it this way – the opportunity cost for every hour spent on $25/hour tasks is the $975 you could have earned if that time was spent on the $1,000/hour activities. What tasks are you doing that you should delegate? What tasks should you be doing that you’re not because you’re focusing on lower level tasks?